Who can deny a tasty bottle of wine? Whether it’s a perfect day, someone’s birthday or a romantic evening for two, ending up with a fine merlot of a nice bottle of bubbly can’t be more ideal. And I bet that in a house of wine lover, there can’t be just one bottle of wine, right? Sometimes, you need some red wine to cheer for a special day while sometimes, it should be some white to soup up your cooking dishes. Whatever, a bottle of wine is only delicious or keeps its beautiful nature as good as possible when store properly or cultivated well. There’re a lot of options when it comes to storing your precious wine bottles, might it be a cooler or a cellar, but we know it’s definitely not in our fridge. Unlike Pepsi, milk, juice or other drinks, wine can’t be preserved in such environment, but a cool, airy and dry place. However, I know that some of us don’t would like to spend such that much money on a cooler or a cellar for wine preservation, nor want to ask for the most advanced form of digitized temperature control, so, here’s my recommendation for you – a wine rack! This might be the most self-explanatory question to answer. Well, a wine rack is a rack that keeps and represents wine. Sound easy, right? But, this answer contains a lot of nuance. For instance, wine racks come in many methods to keep the wine bottles in which they might be secured. Along with that, there’re hundreds of conditions and materials that you need to consider carefully before deciding which one is the most suitable to drop your money on. 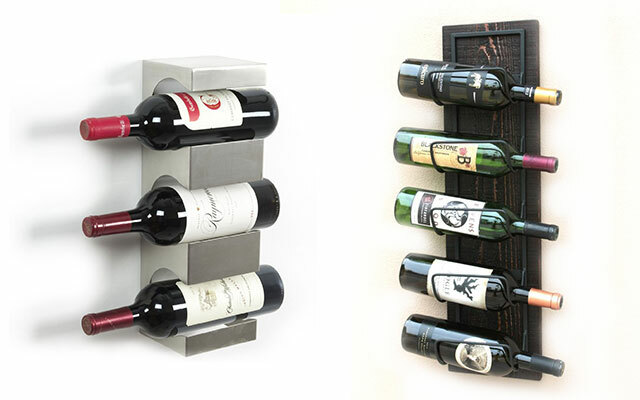 Usually, wine racks are either made from steel finish or wood. While considering which material to go to, take a look at their quality as well because very often, not all manufacturers create their products equally. Meanwhile, not all materials are suitable for all position or environment. Two typical examples are wood wine racks usually getting stained or peeled off in damper and cooler climate while the steel finish tending to be heated up in warm or hot areas, which leads to warming up your bottles as well. 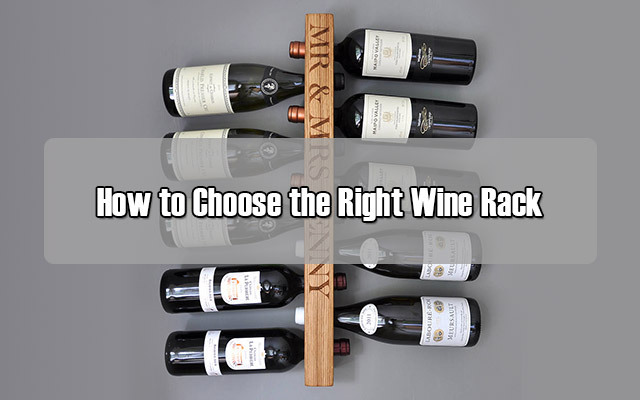 That’s why choosing the material of a wine rack is the very first decision you should make. This is also one of the most vital aspect to store wine. Whenever uncorking a wine bottle conventional wisdom holds which means that you are giving it some time to breath while it stays on the rack or countertop. It’s essential to make sure that the room or the wine storage space should be ventilated well, not too dried but not too damped. As wine racks don’t come up with temperature regulation systems like a cellar or cooler, you should ensure to set them up in the space where you can control the temperature with the proper humidity level. In my own experience, whites are more finicky to store than the reds, especially speaking of temperature. 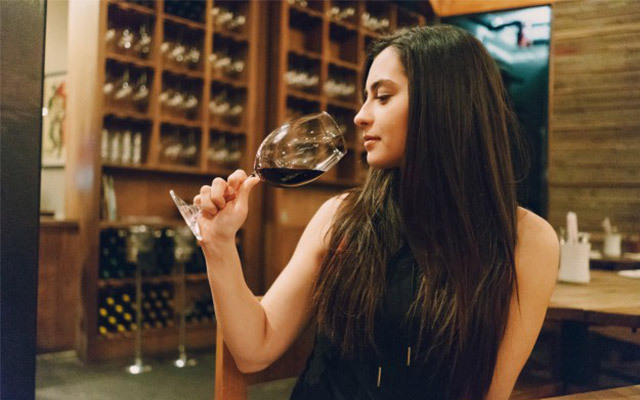 An environment which is too cold might change its flavor rapidly and make the wine spoiled whereas in a too hot area, the wine will be ruined entirely. In generally, there are two kinds of wine racks: one with openly design that focus more on displaying wine bottles while holding them in place; the other is more closure including doors and racks and even attached with cellars, coolers and other pieces of furniture. That means you need to pay more attention to your home décor to have the wine rack fitted the feel and mood of other interior spaces and furniture. This type might be the most popular you can see in many movies. In wealthy houses, they instruct one particular basement cellar just to store wine. In this modern time, a transparent, light look is the best bet for you. My high recommendation is wood racks to maintain its authentic look and feel. If you want a space to display your precious wines in a more interesting way, or, don’t have any existing décor to integrate your wine collection, this is the best way to go to. Try it and you will feel like your house is getting a mini version of a wine cellar. People usually put these dividers in space or area between the dining room and the living room. But you can create it yourself, just to fit your house’s furniture and décor the most. 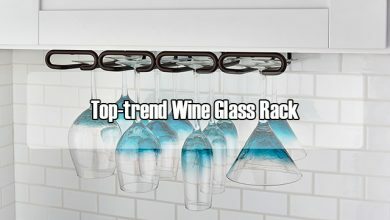 This is the most practical type of wine rack in this list as yours is going to be built in the kitchen island, which counts less space than others. Usually, I see people occupy such kitchen storage into one side of the island. But in fact, you can completely utilize it as a bar due to preference. For sure, this combination is nothing to complain. If your kitchen is spacious enough to put some wine racks, try this kitchen partition. It’s just you looking for the perfect place to integrate them into the décor to avoid the harmony against being disturbed. If your house gets no spacious space left for wine, like a particular room into a full-blown cellar, then an under the stairs is the best bet to consider. Instead of leaving it empty and useless, why not take advantage of such small but interesting are to display creatively your wine collection? Or, the space above the refrigerator is also a good idea. Attach some wine racks there, and there you go – a second-to-none wine storage to easily reach and also display your wine impressively. Might you need to stretch out a little bit, but at least, there’s a specific space for them and moreover, it’s highlighted. If something unusual and interesting is what you are looking for on a wine rack, try this type – wine holes. 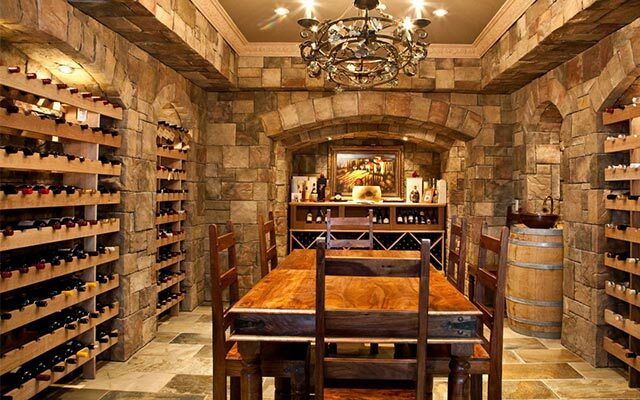 If you already have a basement wine cellar, it’s perfect to opt for stone to deliver an authentic feel. 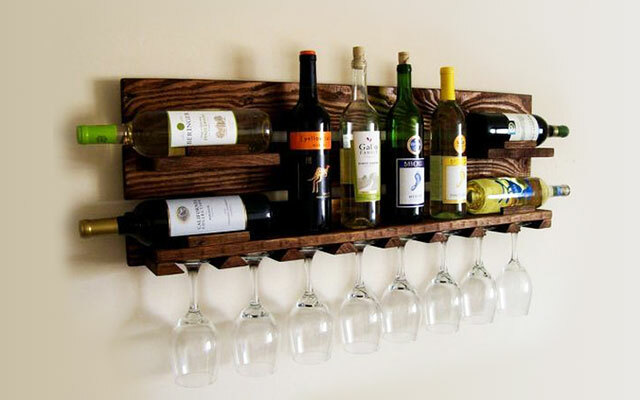 Take advantage to it, make some built-in holes to accommodate your wine bottles creatively and impressively. If a wine cooler is your selection then, it’s an ideal chance to have it in your kitchen. Your job is to choose the right color, material and size to match with other built-in appliances and furniture or décor and there you go, a perfect, impressive and perfect built-in wine cooler to show off with your guests. If you want to save space on the counter or floor, try the wall-mounted racks. Take advantage of an unused wall to build in such racks for example, the space on the hallway or one adjacent to the staircase. This is for sure a very artistic place in your house. 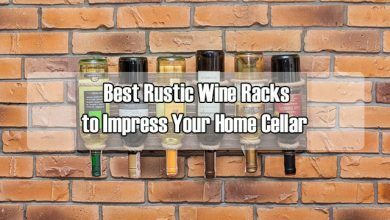 Whether you only get a passing fancy for wine or a genuine wine aficionado, whether your house has a particular basement for wine storage or just a narrow space, it’s essential to consider a good quality wine rack. As shown, there are three major features to consider, but along with that, you need to bear in mind the colors, sizes, the number of your wine bottles that you’re going to keep and the designs. That are nearly all stuff you need to consider, but to ensure, to say nothing about the subtle differences and the little intangibles which are so much a part of a wine game. In general, such distinction and difference brings a creativity spirit to the enterprise, making it a fulfilling and engaging one at that.